Are you ready to go to dental assistant school? Right now is the perfect time to get into the dental assisting field. It is a fast growing field that needs qualified dental assistants, so hurry now to become a dental assistant today. Are you scared that the dental assistant career will not have job security? 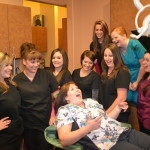 Right now the demand for dental assisting from a dental assistant school really is greater than that of the supply. On a brighter note you can find employment anywhere in the U.S, so now you are not limited to any one area of the country. Being a dental assistant though your work will not be the same everyday. Doing patient care, getting dental records, or even prepping patients are some of the duties of a dental assistant. Are you longing for more of a professional work environment? Then look not further than becoming a dental assistant. You will be challenged to a variety of tasks along with helping patients understand the dental treatment plans laid out for them. 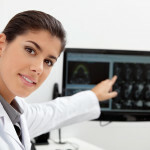 Dental assistant school graduates happen to also earn a great salary along with many benefits. After dental work is complete, it is up to the patient to preserve the health and beauty of their newly-improved teeth and smile. Bonded restorations require the dental assistant to instruct about care and proper treatment. The patient needs to brush carefully and daily with a soft-bristled toothbrush, and floss regularly. The dental assistant needs to warn that some drinks (such as tea, red wine or coffee) may stain restorations. Biting into hard foods, grinding or clenching of the teeth or chewing ice may cause wear or chipping. The dental assistant needs to help the patient understand these guidelines. 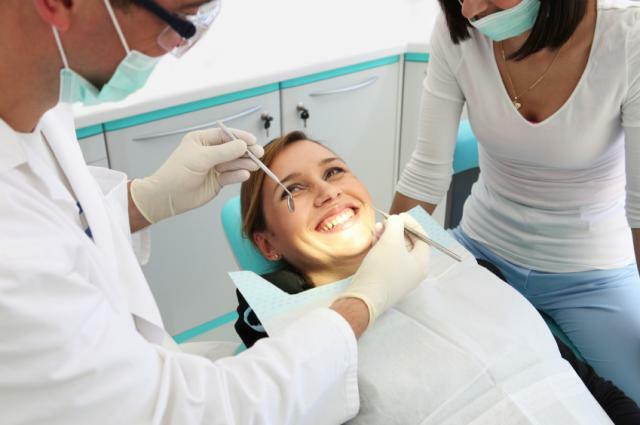 The dental assisting professional will encourage regular checkups and periodic polishing at the dental office which can greatly improve the durability of all dental work. Why not make the change and become a dental assistant that has career choices around the country. Play a vital part in any dental organization and take the challenge to help give yourself a better future. Comments Off on Dental Assistant School – Is this a Career for You?